Introduced for the first time as a university major in the 1950’s, psychology became the second most chosen major half a century later. According to USA Today and The Princeton Review, psychology’s undergraduate major came second with the most enrollments with business administration and management taking the top spot. Psychology as a field of study has come a long way in the past few decades. Initially placed in the same category as vocational programs, universities have realized the importance of this field of study. With millions of dollars committed to research, psychology is playing an instrumental role in understanding human behavior. Psychology is a study of the human mind, behavior and cognition. It strives to better understand the human brain processes, emotions and feelings. It also covers the all important areas of how personalities and memories are formed and how they play an important role in the development of behaviors. The field of psychology is quite broad and expansive. The common perception that psychologists spend their days listening to patients talk about their childhood and traumas is not entirely true. Here are a couple of disciplines found within this field of study. This area of study deals with the influence of the brain on behaviors. Sometimes it is also referred to as Physiological Psychology, Behavior Neuroscience and Psycho biology. This branch of psychology deals with the study of animal behavior. This is to help understand human psychology by drawing comparisons. This area of study is concerned with how different cultural factors influence behaviors. In multicultural societies, it is becoming more important than ever to understand what makes people from different backgrounds react the way they do. This branch of study is concerned with the changes that occur during a normal lifespan. Although initially it was for infants and children, it has now expanded to teenagers, adults and seniors. This combines the field of psychology and the law. Forensic psychologists are responsible for assessing and evaluating children in child abuse cases. They testify in court and offer expert opinions on the mental competencies of individuals. These were just five disciplines in which a student can major in psychology. However, it is important to note that this field also offers subfields to prospective students. Enjoy working with others – As a psychologist you will be required to work with all kinds of people. This includes both patients under your care and professionals who would want your feedback on certain matters. Ability to cope with stress – Dealing with patients and different scenarios could be emotionally draining. Also you may have to work against deadlines and do a lot of research and analysis before giving your opinion. Observational and communication skills – As a professional who analyzes behaviors, it is important for you to have strong observational skills. And when it’s time to give feedback, effective communication is necessary. Confidentiality – Patients confide private information to psychologists. As a psychologist, according to The American Psychological Association’s Ethical Principals of Psychologists Code of Conduct, basic records need to be maintained by the primary. However, as per patient-doctor confidentiality agreement, the information cannot be released unless requested by the state for legal purposes. Associate Degree – An undergraduate level degree, the associate degree typically takes two years to complete. Usually offered at community colleges, graduates typically transfer to 4-year universities. Bachelors Degree – This degree usually takes four years to complete. The option between Bachelors of Arts (B.A.) and Bachelors of Science (B.S.) is available to students. This qualification may allow students to pursue careers in advertising, marketing and education. Masters Degree – Students have the option to pursing Masters of Arts (M.A.) and Masters of Science (M.S.) in Psychology. This graduate level degree typically takes around one to three years to complete. Some of the careers students with this qualification can pursue are Social Services Manager, Behavioral Counselor and Human Resource Manager. PhD in Psychology – A doctoral level program, this degree may take students five to seven years to complete. The degree includes both research and practical training. The specialization must reflect your future career plans. A specialization in clinical or counseling psychology can help you with your own private practice. Or if you want to teach, industrial and organizational psychology could help. 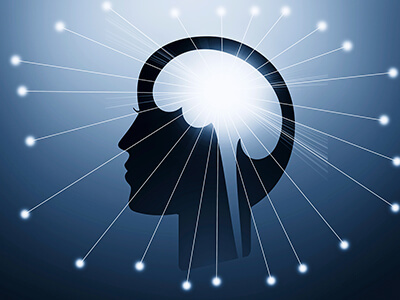 A degree in psychology can be pursued in two ways; the traditional way that is by attending classes on campus or by enrolling in an online psychology degree. Distance learning programs have been around for more than a century. In its early days, educators used mail to instruct their students. With the advent of internet, distance education has turned a new leaf. Today distance education programs are a practical choice for students already employed or for stay at home parents looking to improve their job prospects. Your college/university must be accredited by a regional agency. Around six regional accrediting agencies are recognized by the Council for Higher Education Accreditation (CHEA) and the United States Department of Education (USDE). Accrediting Council for Independent Colleges and Schools (ACICS) and Distance Education and Training Council (DETC) are also nationally recognized accrediting agencies. You must check the student teacher ratio before enrolling. Education suffers if the ratio is high and the teacher is unable to give individual attention. Your college/university should also give you access to online social science journals for research. As an online student, it is imperative that you are committed to your goal. Distance learning programs may offer a number of benefits; however some students find them difficult as they require self discipline. Before enrolling in an online degree in psychology, make sure you have all the tools and are in the right frame of mind to complete your program. The Bureau of Labor Statistics (BLS) states that psychologists drew a median annual wage of $69,280 in 2012. The demand for these professionals is expected to increase by 12% over the next few years. All the above mentioned figures were taken from O*NET On Line. The salaries mentioned were the median wages for the year 2013. It is important to note that these figures may vary due to a number of factors that include employer, location and experience of the applicant.